SMEs often do not have the luxury of having a team of talented individuals solely dedicated to the task of maintaining books and performing accounting duties for their businesses. This by no means should undermine the importance of accounting and bookkeeping. 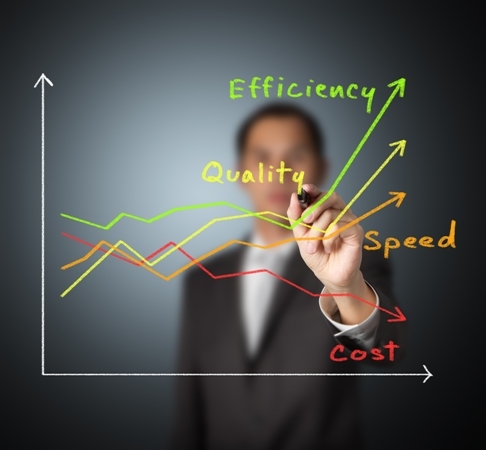 Every business needs proper record keeping and an efficient system of cash flow management. Without these vital elements, the sustainability of a business becomes questionable. The indispensability of accounting and bookkeeping, and the economical prudence of SMEs have led to the proliferation of accounting software in the Singaporean corporate landscape. Many businesses today have migrated from the traditional use of Microsoft Excel to the procurement of multi-functional accounting software to handle their companies’ finances. With the right software, SMEs can maximize and maintain their profits in the journey to a successful business. In order to encourage companies to adopt such technology, the Singapore Government has launched the iSPRINT (Increase SME Productivity With Infocomm Adoption & Transformation) scheme, which offers the basic packaged solution that encompasses accounting software with a grant of 70% capped at $2,000. This incentive is not just meant for the purchase of the software, but also for the consultancy and the training that is required for the effective integration of the software in the company. 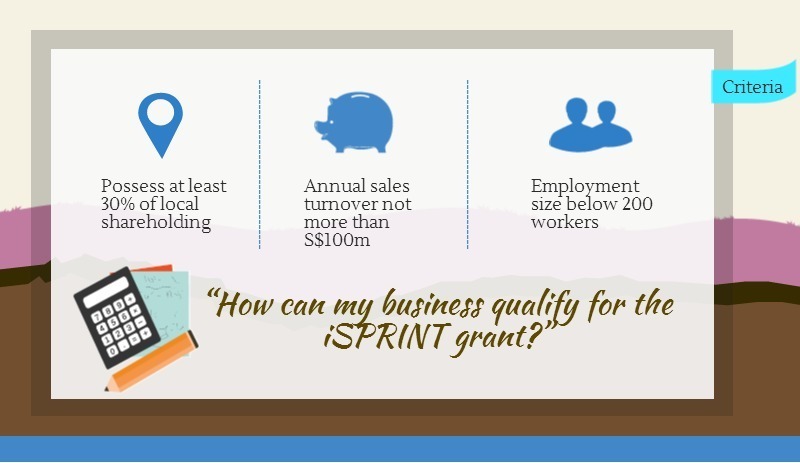 Additionally, SMEs can also claim the cost of the accounting software from the PIC Cash Payout option after the iSPRINT application has been approved. Under this scheme, an actively operating Singaporean company with a minimum of three employees can claim 60% of the cost of the accounting software. To top it off, companies can also obtain a 400% tax deduction based on the cost of the software! Upon the successful assimilation of the accounting software into the company’s operation, a whole slew of benefits awaits your company as described below. You do not want to error when filing annual income tax returns. Accounting software assists to extract the necessary financial information from the records with unmatched precision when reporting taxes. Such information can be presented in the forms of a Profit and Loss Statement, and a Balance Sheet, which are fundamentally the groundwork for filing income tax returns. Companies can obtain similar assistance from accounting software when filing for GST returns every quarter. Not only does this largely ameliorate mistakes when declaring taxes and saves the company from costly penalties during IRAS audits, but also mitigates the costs involved in compliance. The substructure of a lucrative company is the ability of the management to make critical decisions that shape the profitability of the business. However, such ability rests on the easy access to crucial financial information of the company. Accounting software addresses this need by being able to produce customizable financial and management reports. These reports, such as the General Ledger, Debtors Ledger, and Creditors Ledger enable the company to manage their budgeting efficiently and empower the management to control business activities deftly. In essence, the utilization of accounting software will facilitate companies’ payments and check handling that will subsequently improve its cash flow and assets management. When are the peak customer periods? How do the sales staffs perform? What are the purchasing trends exhibited by the customers? How are the customer loyalty programs working? How do the deposits and withdrawals from the cash drawer compare? What is the updated state of the inventory? Such comprehensive billing system and analytical reports are imperative for retail business owners to competently run their companies. In addition to being speedily available, the data generated by the accounting software are instantaneously archived in protection from loss, and highly secure by only allowing the administrator the access to the database. SMEs in Singapore have relatively simple salary frameworks. Accounting software incorporates this information to enhance the payroll mechanism in two very basic ways; by reducing time and money. The software endows the ability to compute salaries in monthly, daily and hourly basis, calculate overtime pay at user-defined rates, and process deductions for CDAC, SINDA, etc. Employers can use the software to track employees’ annual and medical leave and create important documents such as IR8A and CPF Form 91. Basically, activities ranging from the generation of itemized payslips to churning reports on staff turnover analysis can be instantly accomplished by accounting software. Accounting software is a comprehensive solution for companies! Find out how you can outsource your company’s accounting needs. Do You Know That The Singapore Government Is Waiting To Co-Invest In Your SME? Raring To Start Your Own Business In Singapore?